Item # 315960 Stash Points: 2,995 (?) This is the number of points you get in The Zumiez Stash for purchasing this item. Stash points are redeemable for exclusive rewards only available to Zumiez Stash members. To redeem your points check out the rewards catalog on thestash.zumiez.com. 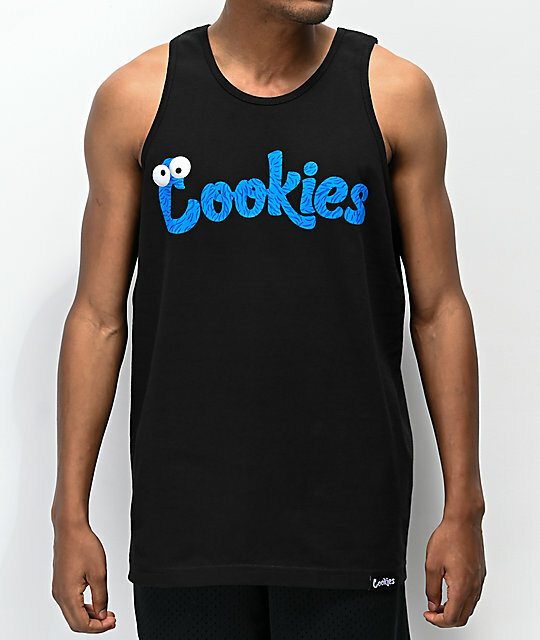 Create new lighthearted looks with Cookies' Monsters Inc. Black Tank Top. Available for Zumiez customers exclusively, this cotton constructed garment features a classic tank top silhouette and comes complete with signature logo script across the chest in a hairy, blue monster type font design. 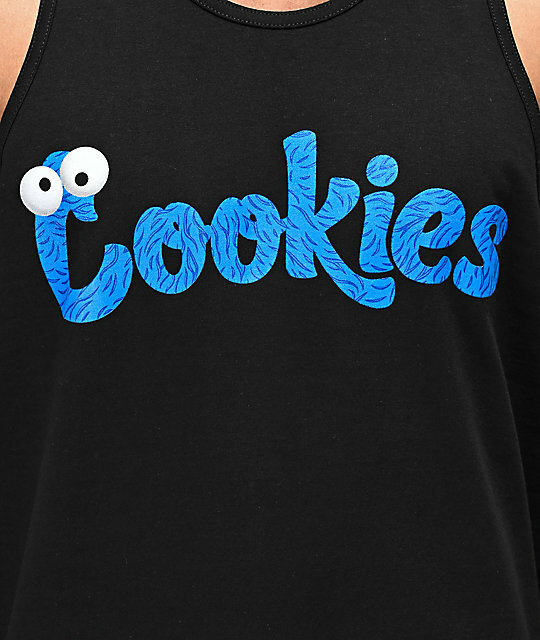 Monster Inc. Black Tank Top from Cookies. 30.5" (77cm) from top shoulder to bottom hem.